This entry was posted on Tuesday, November 6th, 2018 at 11:37 PM	and is filed under Ancient. You can follow any responses to this entry through the RSS 2.0 feed. You can skip to the end and leave a response. Pinging is currently not allowed. So I assume these figures formed some kind of grave markers? Is the soil highly acidic? They look like they are half-dissolved. Still, huge find! 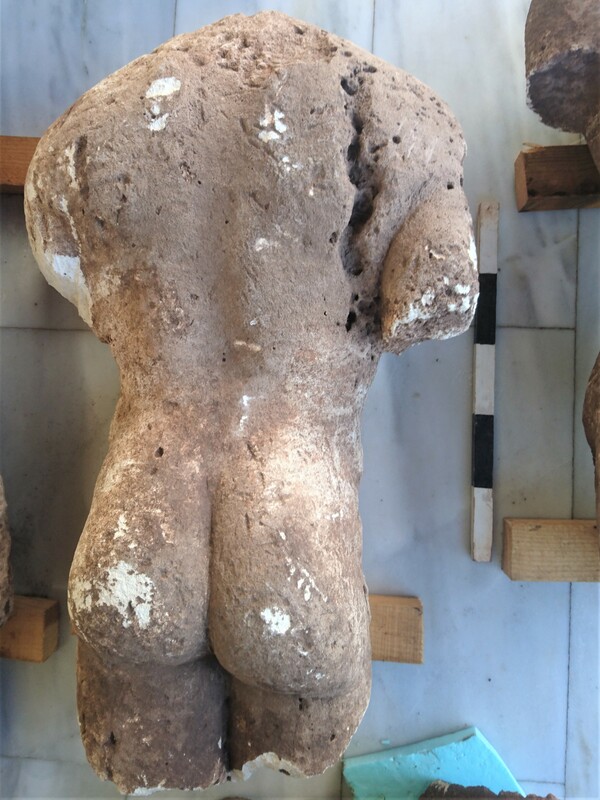 The counterpart to those naked ‘kouroi’ are -not so naked- ‘ko(u)rai’. 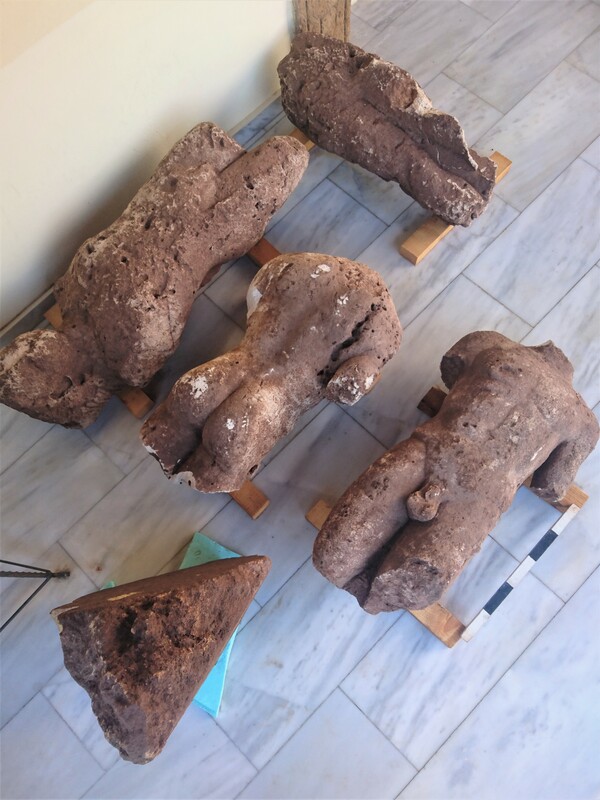 Indeed, these ‘kouroi’ could have been grave markers, but the graves underneath could also be coincidence – cf. the ‘Porch of the Caryatids’ in Athens. 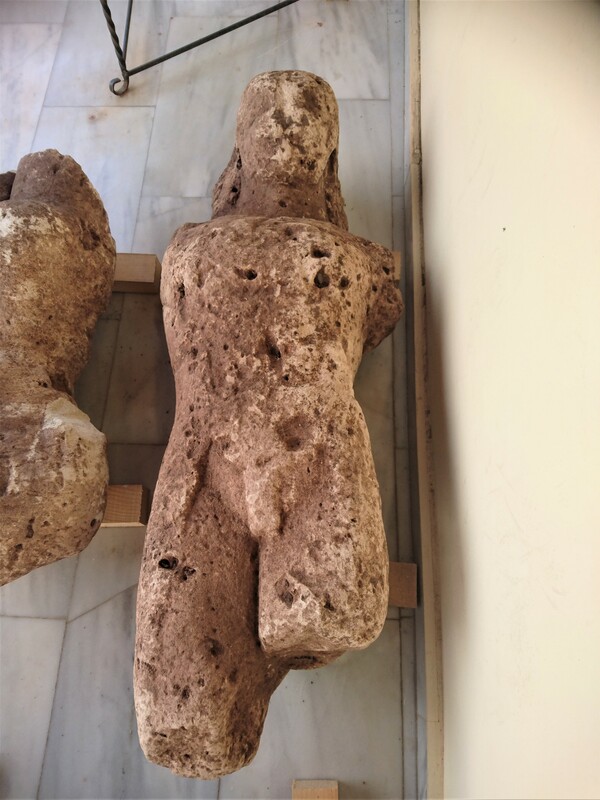 There were a couple of real earthquakes, as well as a couple of ‘cultural’ ones: It would be great to know more about the graves, and if there is some kind of structure the ‘kouroi’ could have been mounted on. 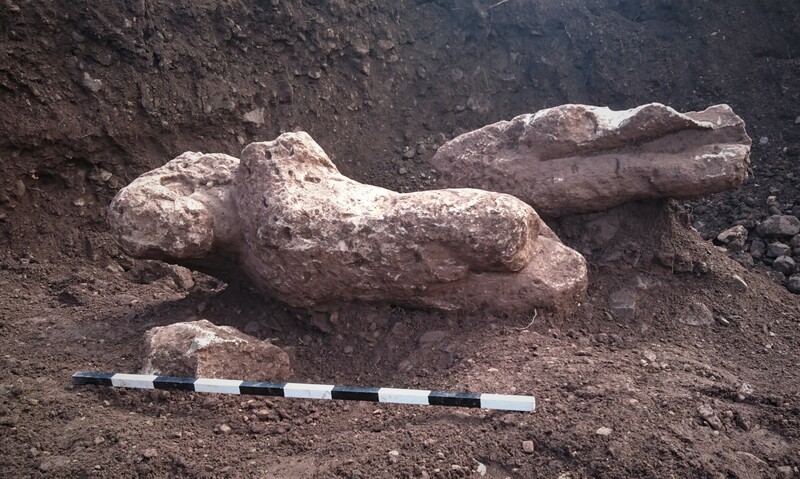 However, to me those ‘kouroi’ seem to be archaic and older than the seven graves underneath, i.e. the ones that date ‘from the 5th century B.C. through the second’. Soil can do its part, but that’s modern farming..Industrial Fertilizers dissolve anything that plowing does not destroy!